Kumaratunga Munidasa was born on the 25th of July 1887 in Dickwella, Matara District, Sri Lanka. He was the son of Palavinnage Dona Gimara Muthukumarana (also known as Dona Baba Nona Muthukumarana) (mother) and Abious Kumaranatunga (father). He was born as the 12th son, in a family of 13 children. Munidasa was a famous Sri Lankan poet, linguist, commentator, grammarian, journalist, and writer. He is considered as one of the most prominent Sri Lankan scholars the country has seen in several centuries. At the beginning he entered the Buddhist School in Dikwalle. Later he attended the St. Thomas’ College in Matara. After that he entered the Dikwella Watarukanna Pirivena to learn Sanskrit and Pali in order to become a Buddhist monk. However, due to the dissatisfaction of his family, Kumaratunga Munidasa left Dikwella Watarukanna Pirivena and attended the Government Teachers’ College that was in Colombo in 1905. He graduated in 1907, after 2 years of training. Kumaratunga Munidasa wrote “Nikaya Sangraha Vivaranaya”, his first book, while he was still is school. He wrote many books in many different languages such as Sinhala, English, Sanskrit, Pali, Tamil, Greek, Malayalam and Latin. Munidasa revived the “Lakminipahana”, one of the oldest Sinhala newspapers, from 1934 to 1936. He also started 2 magazines named Helio and Subasa (Good Language) in 1939, to promote and teach the correct way of using the Sinhala language. 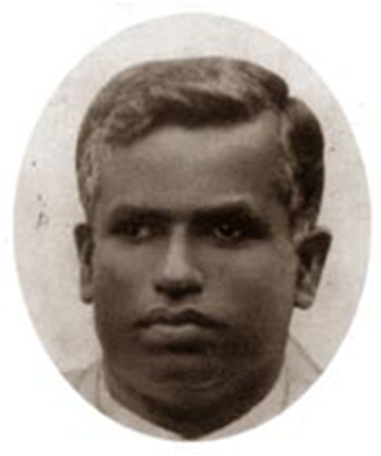 In 1941 Kumaratunga Munidasa founded the “Hela Havula” (Pure Sinhala Fraternity), a Sinhala Literature Organization. The organization consisted of many people who shared Munidasa’s idioms. They frequently engaged in debates and centered about many aspects of literature. Hela Havula is considered as a starting point for many Sri Lankan artists and scholars. The organization is still active and helps many young artists to sharpen their literary skills. Munidasa always used to point out Country, Language, and Nation as his Triple Gem, and also stressed the importance of Sinhala language, as the emblem of national identity of the Sinhalese People. He was awarded the “Viwarna Swakthi” name as an admiration to his excellent work on the history of Sinhala literature. Munidasa Kumaratunga passed away on 2nd of March 1944 at the age of 56.